Acupuncture is a different paradigm of medicine. Nature and elemental theory merge to diagnose and treat chronic and acute illnesses. In addition, TCM maintains optimum health in those individuals who actively wish to prevent disease. Qi or the “Life Force” flows through a network of twelve major pathways or “meridians.” These correspond to specific organs, such as the heart, spleen, liver, etc. Along these meridians are specific acupuncture points which affect the corresponding organ system. These points are also used to treat different conditions of disease. 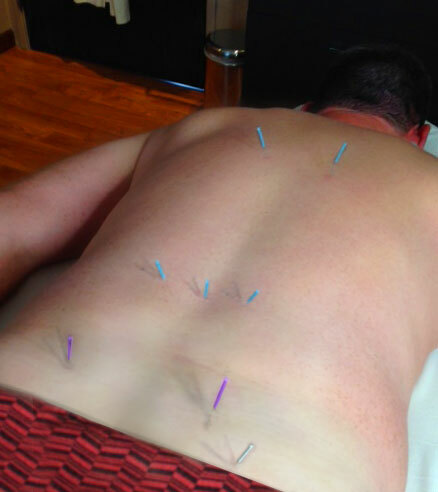 When the acupuncture needles are inserted into these specific points, the meridians are opened to allow the “qi” to flow properly, thus restoring health by balancing and harmonizing the energy to the organs. What Medical Conditions Can Oriental Medicine Treat?In China, acupuncture is used for most conditions of dysfunction as well as being an adjunctive treatment for cancer patients. Degenerative diseases are improved; as well as speeding the healing time for post-surgicial procedures. Perfect for any occasion. Custom made for your gift giving needs.